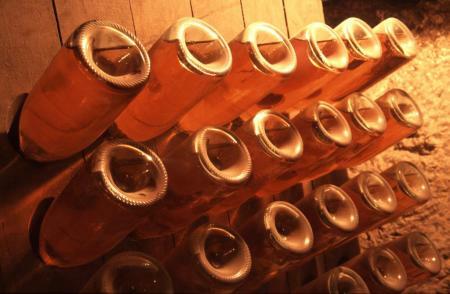 When it comes to sweet wines, those from the Loire Valley are something of an unsung hero. You will note that the term “sweet wine” is being carefully used here instead of dessert wine because in France, the consumption of these sweet little numbers isn’t solely restricted to dessert. In fact, they could be drunk any time from aperitif to digestif. These chenin blanc-based sweet wines are highly prized throughout France but barely make it onto the export market. It’s an unfortunate fact, as the Loire is capable of creating a seriously eclectic portfolio of delicious wines. Chenin blanc is famed the world over for its versatility and the longevity of its wines. It’s capable of retaining high acidity, even when produced in high yields – which is perhaps one of the many reasons why it’s now more synonymous with South Africa and California where it’s mainly used to produce table wine on a large scale. Back in the Loire, where chenin originated –and still holds the name pineau de la Loire– the grape is still a low-yielding rock star for sweet wines. Stretched across the center of France, the Loire region falls south of Paris and north of Bordeaux. Here, it’s not only the soils but also the climate that varies dramatically as you move from west to east. The region plays host to a number of grape celebrities; cabernet franc, sauvignon blanc and chardonnay, to name a few. But when it comes to their prized sweet wines, only chenin blanc will do. The French have many different words to indicate the sweetness of a wine. For the Loire, a wine can range from demi-sec, moelleux, doux, and liquoreux to sélection de grains nobles.The exact requirements might vary from region to region, but in every area wine will need to be made using grapes from a designated location, with specific techniques, and will have to achieve a minimum level of residual sugar to gain appellation status. Coteaux du Layon AOC and Coteaux de l’Aubance AOC, for example, are the only two sweet wine appellations in the Loire which currently use the term sélection de grains nobles. Here, the term refers to an elevated level of sweetness as measured by the residual sugar (rather than to a selection of botrytis-affected grapes as it does in Alsace). Despite the fact that the Loire has more sweet wine styles than you can shake a stick at, it’s not as difficult as you might think to pick out the right wine for the right occasion. This is all thanks to the high acidity of the wines. A demi-sec, or medium sweet wine, is a fairly accessible style which can work from the start to finish of a meal but would go particularly well with scallops seared in butter. A well chilled moelleux wine can also be refreshingly light to drink as an aperitif, or be matched to gently spiced foods. Some of these wines are botrytised, adding an additional layer of complexity, which works well with foie gras and blue cheeses. A liquoreux style wine works best here as the caramel notes really pick up on the creamy, buttery flavors of the foie gras while the saltiness of the blue cheese works to enhance the flavors in the wine. But when you get a really special wine in the liquoreux or sélection grains noble style, try enjoying it as a dessert, itself. Especially in summer, it’s important to serve the wines at the right temperature. Some bottles will give specific instructions such as decanting first. As a general rule, 42-46 ºF (6-8º C) is a good start and most wines don’t need to be decanted. This appellation applies to 10 communes to the west of Angers that border the Loire river. They are located on the south-eastern part of the Armorican Massif where the shallow brown soil is mainly made up of shale. The moderating effect of the Loire river means that the climate on the hills tend to be mild giving delicate moelleux wines with exotic fruit notes and good ageing potential. These are perfect as an aperitif or matched with cold cuts. In the best vintages, liquoreux wines can also be made but are generally lighter than the ones found in Coteaux du Layon AOC. Bonnezeaux AOC is located around 20km south of Angers in the commune of Thouarcé. The vineyards are restricted to three steep hillsides bordering the Layon tribuary. The soil here is mainly a mix of Saint-Georges-sur-Loire shale, quartz and phtanite. The combination of the steep south-facing slopes and heat-harbouring qualities of the soil creates the perfect conditions for extremely ripe harvests. The wines produced tend to have a warm, spiced citrus nose with fantastic ability to age in good vintages. It’s worth decanting the wine before enjoying with a blue cheese. The Aubance is a tributary which winds around the slopes leading to the Loire. Planted on the well-ventilated slopes of Silurian and Ordovician shale, Coteaux de l’Aubance AOC vineyards face a multitude of directions. Owing to the different mesoclimates of the vineyards, there can be quite a bit of difference in the concentration of the wines but they tend to have floral and white fruit notes and are a little lighter in style than the wines from Coteaux du Layon AOC. These are the wines for spicy Asian cuisine. In the best vintages, when residual sugar has reached the required levels, the wines can also be labelled as sélection de grains nobles. These wines cannot be released until at least 18 months after the harvest. The Coteaux de Saumur AOC covers a relatively large area, including 20 communes in Maine-et-Loire, two communes in Deux-Sèvres and nine in Vienna. Despite this, only a small part of the area declare their sweet wines. The vineyards are planted on the Cretaceous slopes bordering the south western edge of the Paris basin. Here the soil is mainly limestone. The wines have a different sort of intensity with more white fruit notes than minerality. Try it with orchard fruit desserts. There are 27 communes in the Coteaux du Layon appellation, which are situated on the Layon tribuary. Like Anjou-Coteaux de la Loire AOC, Coteaux du Layon AOC is located on the south-eastern part of the Armorican Massif. However the area has greater exposure to the elements, creating the perfect conditions for ripening. Six of the communes (Beaulieu-sur-Layon, Faye-d’Anjou, Rablay-sur-Layon, Rochefort-sur-Loire, Saint-Aubin-de-Luigné and Saint-Lambert-du-Lattay), with stricter production regulations, are able to append their village name to the Coteaux du Layon appellation to show special distinction. In addition, the village of Chaume, within the commune of Rochefort-sur-Loire, also has the possibility of producing Premier Cru wines under the appellation of Coteaux du Layon Premier cru Chaume AOC, a separate appellation from Quarts-de-Chaume AOC. The wines produced here are mostly botrytised. They can be very complex with notes of honey and candied fruits as well as an unctuous mouth feel. Enjoy with a rich, Cognac-soaked prune cake or on its own. For the best vintages, the aging potential is perhaps 40 years or more with the possibility of declaring as sélection de grains nobles. The name of the appellation is said to have derived from a time when farmers had to give the best quarter of their harvest to the landowner. 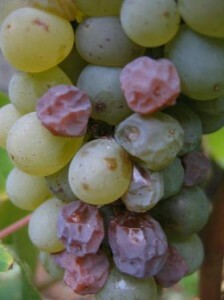 Although the practice is long gone, the reputation of Quarts-de-Chaume, as one of the most famous sweet wines from the Anjou, has remained. Today, it is the only sweet wine with Grand Cru status in the Loire. 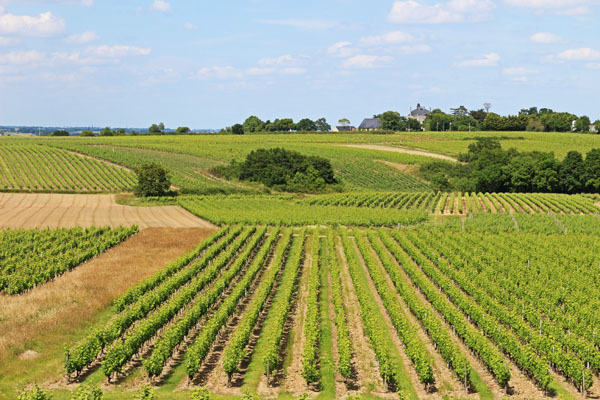 Quarts-de-Chaume AOC lies fifteen miles south west of Angers, representing a small part of the commune of Rochefort-sur-Loire (in the appellation of Coteaux du Layon AOC). 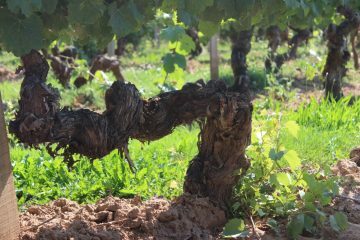 The vineyards here are planted on Brioverian schist and carboniferous sandstone slopes and tend to be dominated by old vines, giving high quality low yields. The wine is rich, concentrated and extremely aromatic with notes of stone fruit and white flowers in youth, developing into more candied fruit and honey with age. The aging potential of the wines are excellent but can be exceptional in good vintages. It’s an extremely complex wine and, perhaps, best served as dessert. 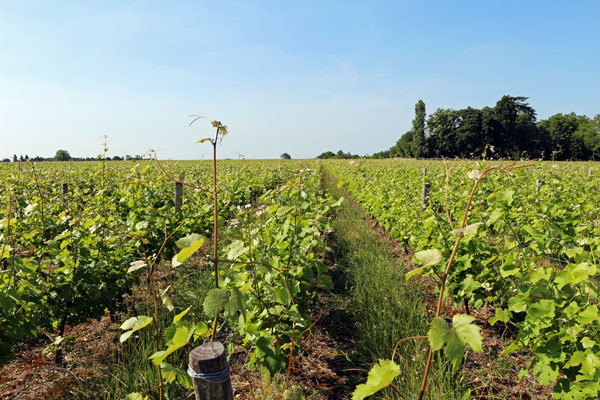 Aside from the appellations mentioned above, where only sweet wines are allowed, the Loire Valley also has a number of appellations where sweet wines form just a small part of the portfolio. In these regions, sweet wines are not always made in every vintage and some producers might choose not to make any at all. For example, Montlouis-sur-Loire AOC, a producer of sparkling wines, is only able to produce moelleux or liquoreux styles through the effects of Noble Rot or extended hang time on the vines (passerillage sur souche) in certain vintages. Meanwhile, Jasnières AOC, has the benefit of many small micro-climates with south-facing slopes. Here, moelleux and liquoreux styles can both be made but Noble Rot exists only in the best vintages. Savennières AOC is well known for its long-lived, full-bodied dry white wines. Stone fruited and waxy to the nose, the wine’s intense minerality can almost taste savoury. Although historically Savennières was a sweet wine, under the current appellation system, the region has only been able to make demi-sec, moelleux and doux styles since 1996. And within Savennières Roche aux Moines AOC, only moelleux and doux are allowed beside the region’s famed dry whites. Vouvray AOC is another versatile appellations which allows Chenin to be vinified anywhere from dry to liquoreux and even sparkling. The chalky soils here make a great base for all of these different styles but it’s really the climatic variation which determines the style of wine that is produced. In some areas, such as Touraine Amboise AOC, depending on the vintage, the wines can be legally vinified up to demi-sec and in really exceptional years, to moelleux. Its neighbour Touraine Azay-le-Rideau AOC are only able to produce wines with a sweetness level of up to demi-sec under the appellation system. Few wine regions in the world can contend with the Loire on the number of sweet wine appellations. And in all of these different appellations, with their varying sweetness and diversified style, there is just one constant – the wine must be 100% Chenin Blanc. Is it any wonder that it’s Loire’s sweet rock star? Qin Xie is a freelance journalist writing about food, wine and travel. Something of a sweet wine fanatic, she's often found tasting something with a high residual sugar. When not writing for others, she blogs at inpursuitoffood.com and amateurwine.co.uk.